A local high school student in the “Bikes Mean Business” booth. 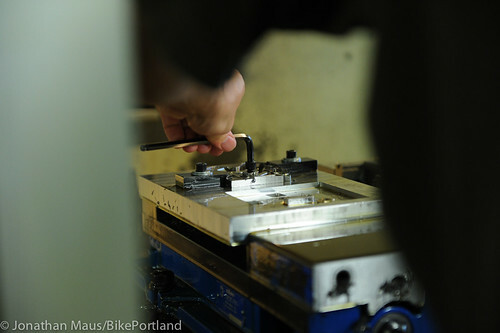 To succeed as an industry cluster in Portland, bicycle companies must compete for the best talent. And that’s no easy task in a town full of well-known names in the tech, fashion and outdoor industry. To help raise the profile of bicycle-related careers, a group of local bike companies shared a booth at the NW Youth Careers Expo held at the Oregon Convention Center yesterday. 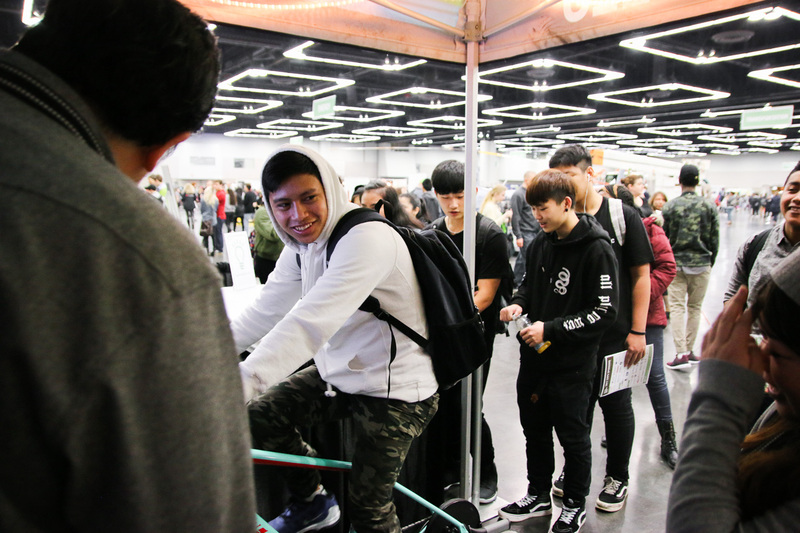 The annual event hosts 6,500 students from 70 area high schools who get a chance to meet-and-greet with over 200 companies. Under the rubric “Bikes Mean Business” (it was also on their custom lanyards, made by Chrome Industries), representatives from Chrome, River City Bicycles, and Chris King Precision Components spent their day talking to local teens about how their future could include a job in the bike industry. Sage’s new PDXCX model is made in Tennessee. From a garage and a small storage space in Beaverton, David Rosen has launched a new bike company: Sage Cycles. Rosen, 41, created the brand in 2012 after he saw a niche in the market for bikes made out of titanium. “Ti”, as it’s known in the industry, is a great material for bikes because it’s light, very durable, and offers a ride that can be the perfect blend of stiffness and compliance. 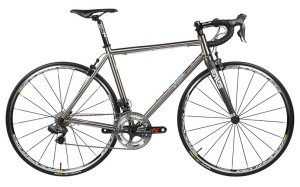 The vast majority of bikes you see around town or at the races are carbon, aluminum, or steel. But ti, mostly because of its higher cost, is relatively rare. its titanium frames made in Tennessee. 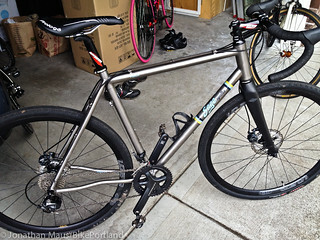 Portland’s local bike industry is alive and well. How do we know? Companies are launching, moving, expanding, hiring, and generally taking the bike world by storm in a number of exciting ways. 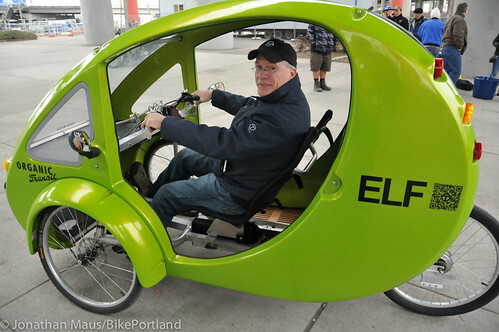 Organic Transit CEO and Founder Rob Cotter inside the ELF during a test ride event in Portland on Tuesday. It’s not a bike and it’s not a car, but the ELF trike is quickly finding fans in Portland who are looking for something in between. some who arrived by bike, others by car. 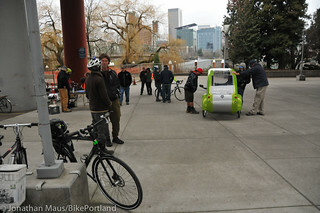 Organic Transit, the North Carolina-based company that makes the ELF solar and pedal-powered trike, just wrapped up three busy days of test rides (two days in Troutdale and one day in Portland). I dropped by the test ride event Tuesday on the eastbank of the Willamette River near the Hawthorne Bridge to take a closer look, meet the company’s founder and CEO Rob Cotter, and get people’s impressions of these interesting vehicles. If our story back in November piqued your curiosity about what some call the “most efficient vehicle on the planet”, you’ll want to mark your calendar for a chance to drive one yourself. 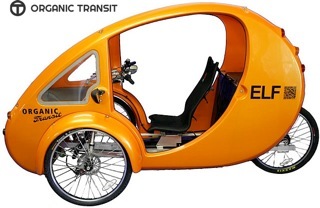 Organic Transit (based in Durham, North Carolina) is bringing their ELF solar and pedal-powered tricycles to Portland for three days of test rides. The company that says its missions is to “get more cars off the road” knows that the Portland region’s biking and transit-centric demographic makes it a great marketing target. In fact, the company is considering opening an assembly plant in Portland. Durham, North Carolina-based Organic Transit is currently shopping for office and warehouse space in Portland. The company is known for their “ELF” solar and pedal-powered vehicle (which stands for Electric, Light and Fun) which they bill as the “most efficient vehicle on the planet.” The company is the brainchild of Rob Cotter, a former engineer who worked on racing projects for Porsche, Mercedes Benz and BMW. Cotter then moved into the human-powered vehicle scene in the late 1980s as a race promoter and vice president of the International Human Powered Vehicle Association. As CEO and founder of Organic Transit, Cotter steered his latest invention into a hugely successful Kickstarter campaign last year that raised over $225,000 from 547 backers. 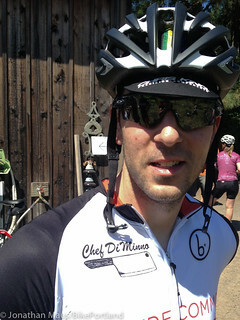 Chris King Precision Components has hired well-known Portland chef Chris DiMinno. DiMinno has spent the past five years as head chef at Clyde Common, a popular restaurant on SW Stark adjacent to the Ace Hotel. The move by King has made headlines in the local food scene and it cements the company’s already strong connection between bikes and food. makers at the United Bicycle Institute Wednesday. Portland is nationally known as the city with the highest number of bike riders. But when it comes to making bikes, our reputation is about quality, not quantity. We’re known for custom, handcrafted bikes, but not for producing them in large numbers. The city’s mature cluster of bike makers could change that if they teamed up, representatives of the local industry’s small businesses agreed at a roundtable discussion led by U.S. Congressman Earl Blumenauer on Wednesday. 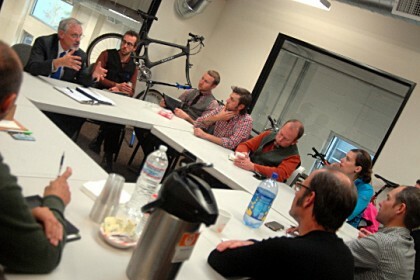 The event was convened by Rep. Blumenauer, who said he’d “dedicated my life” to making biking a big part of the city and would happily look for ways to help the industry itself become “the next part of the Oregon identity” if they can offer a clear list of ideas within the next few months. The event was a more focused follow-up to a visit to the same location by the U.S. Secretary of Commerce in September. 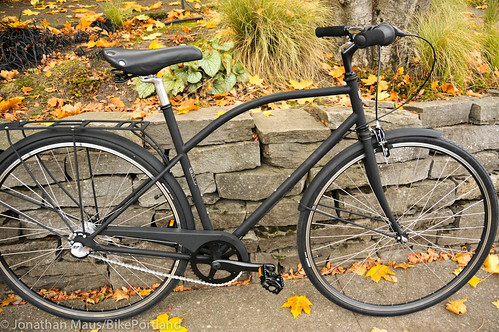 The “A-Type” from Detroit Bikes is made in Detroit and retails for $550. King Cycle Group employee Danny Hayford secures a dropout inside a CNC machine; one of several processes the parts go through before they end up on a Cielo frame.